Jeremy D. Protas counsels clients on all types of patent-related matters, while focusing on securing patents in diverse technologies including process control, wireless communication, business methods, medical devices, and bioinformatics. His experience developing transmitters for NASA’s Deep Space Network at the Jet Propulsion Laboratory and designing and testing mobile telephony infrastructure at Motorola Inc., contributes to his keen understanding of the interface between intellectual property law and engineering environments in both public and private sectors. Mr. Protas employs this understanding to develop and execute strategies that protect his clients' patent interests. Clients rely on Jeremy’s integration of skilled legal advice and vigorous advocacy with his understanding of their technologies and their businesses. More recently, clients in the exciting, emerging field of bioinformatics have turned to Jeremy for his ability to understand and help protect advancements at the intersection of software and biotechnology. Building on his casual interest in genetics and genomics, as well as his experience with software and “big data” technologies, Jeremy has drafted numerous applications for clients working in this interdisciplinary field. Mr. Protas was recognized by and included in the Illinois Rising Stars® lists in 2014 and 2015, which features outstanding young attorneys in the state of Illinois. Mr. Protas received recognition as one of the Minority Corporate Counsel Association’s (MCCA) 2013 Rising Stars, and in 2012 he was named one of the Best LGBT Lawyers Under 40 by the National LGBT Bar Association. Additionally, Mr. Protas was selected for inclusion as an “Emerging Lawyer” in the 2015, 2016, and 2017 editions of Emerging Lawyers Magazine, in which individuals are recognized among the top up-and-coming attorneys in Illinois. Since 2018, Mr. Protas has been recognized as a "Leading Lawyer" by Leading Lawyers, a division of Law Bulletin Publishing Company. Developed and implemented a complex, prosecution strategy, involving over a dozen patent applications, to secure international patent protection for improvements to process control systems representing both a major paradigm shift in process control technology and millions of dollars of investment by the client. Successfully defended one of a client's key patents in an ex parte re-examination initiated by a competitor. Counseled a client on the patentability of a commercial agricultural product and the patent application process. After careful analysis of the relevant landscape, devised and implemented an international patent strategy that protected the significant commercial value of the product in a variety of countries and attracted investors. Counseled a client regarding freedom-to-operate issues related to the client’s potential entry into technological space occupied by a firmly established competitor. Provided clearance analysis of competitor’s patent estate to help assess risk of entry. Prepared a variety of applications related to methods for selecting and evaluating therapeutic agents and compounds based on associated or predicted effects on biological processes and pathways. Prepared patent applications for improved methods of performing genomic analysis to determine relatedness between two genomes. In these varied products and systems, Mr. Protas has worked for clients securing patent protection in the United States and abroad, considering issues related to patentability and freedom-to-operate, counseling clients on patent-related matters generally, and participating in complex patent litigation. 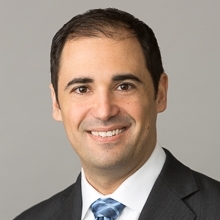 Mr. Protas joined the Firm as an associate in 2005 after participating in Marshall, Gerstein & Borun LLP’s summer associate program in 2003 and 2004. He received his J.D. from DePaul University College of Law in 2005. Prior to law school, Mr. Protas worked for Motorola, Inc., in Arlington Heights, Illinois. During his tenure at Motorola, Inc. he contributed to the design, test, and implementation of GSM cellular infrastructure platforms, focusing on improving electrical signal integrity and product reliability through comprehensive simulation. Mr. Protas received his B.S. in electrical engineering from Case Western Reserve University in 2000. While pursuing his degree, he interned at Jet Propulsion Laboratory, where he participated in redesigning, developing and implementing S-band and X-band transmitters in NASA’s Deep Space Network and researched development of an expert system to detect, diagnose, and predict transmitter failures. Diversity in the legal profession and community involvement are important to Mr. Protas. He actively contributes to Marshall Gerstein’s Diversity and Pro Bono committees, and participates in the Firm’s marketing and community outreach efforts, particularly in the LGBT community. Mr. Protas served on the Board of Directors for the National LGBT Bar Association from 2010-2017, and served as the Association’s President in 2015.